Identify Potential Data Errors With Confidence and Avoid Risks, Delays, and Penalties! 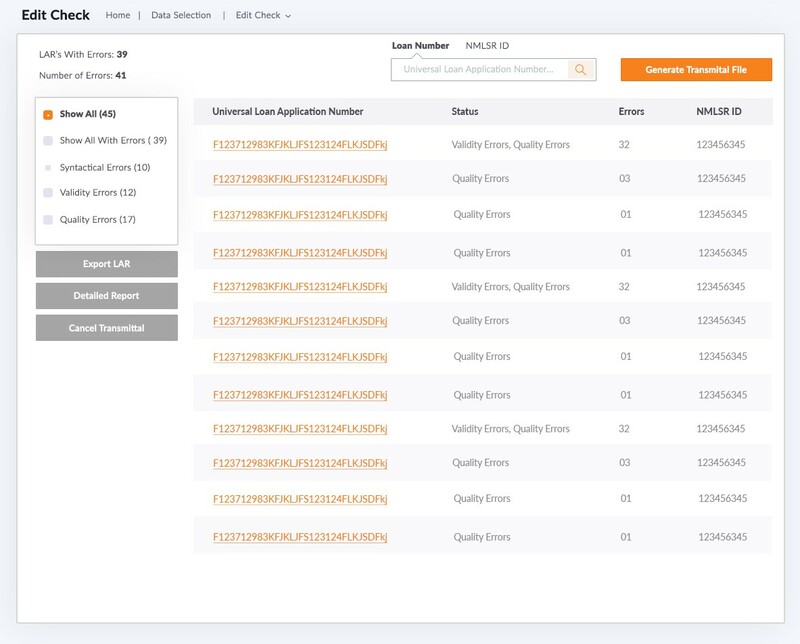 Confidently submit your HMDA data with the easy-to-use HMDA Submission tool from TRUPOINT Partners. Minimize stress and risk with submission software from a known and trusted partner. If you're looking for a simple HMDA transmittal solution, look no further. Get the same easy-to-use functionality you've come to expect from TRUPOINT Analytics™ with our HMDA Submission tool. TRUPOINT's HMDA Submission seamlessly integrates with TRUPOINT Analytics, provides straightforward reporting, and comes with guidance and support from your dedicated Customer Success team. So how does HMDA Submission work? Below is an overview of the process. Receive HMDA Data: We accept many file types, and work with all core processors. Review Data Quality: Our software will review the data for completeness and compliance with HMDA Plus requirements. To do this, we leverage an add-on software that integrates with TRUPOINT Analytics. Resolve Errors & Confirm Qualification: The software will bring your attention to any errors or omissions in the data. Formatting & Review: The software will format the qualifying loans into the format needed to import it into the HMDA Platform. A transmittal file and Excel version will be downloadable. Submission: After the data has been reviewed, your institution will submit the data. Call or email us today to make the switch to TRUPOINT's HMDA Submission! Call or email us today to make the switch to TRUPOINT's HMDA Transmittal! See if TRUPOINT's HMDA Transmittal is right for you! Fill out the form below to request pricing or a consultation.